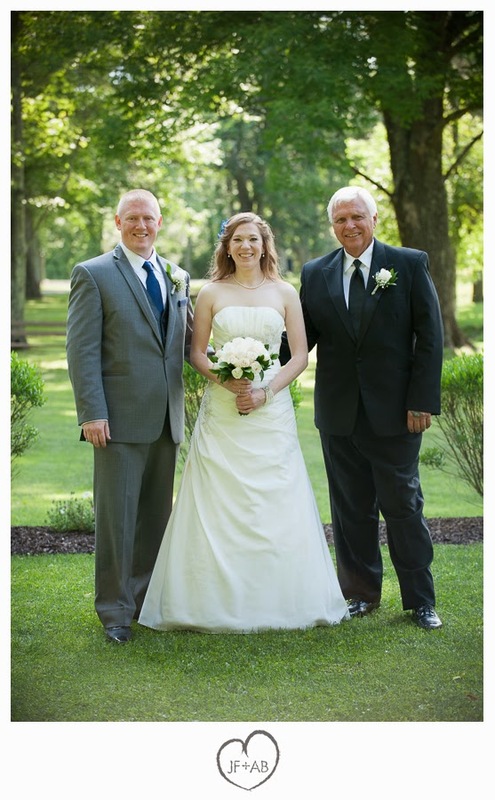 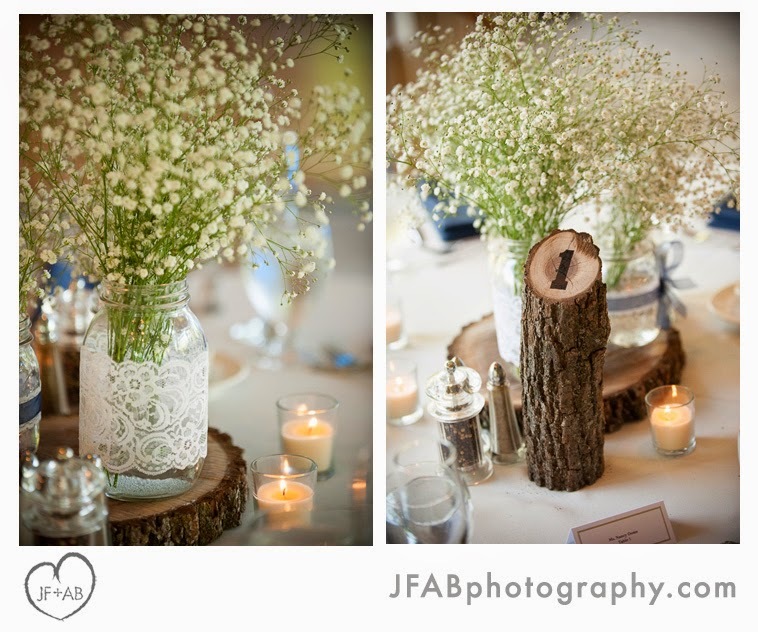 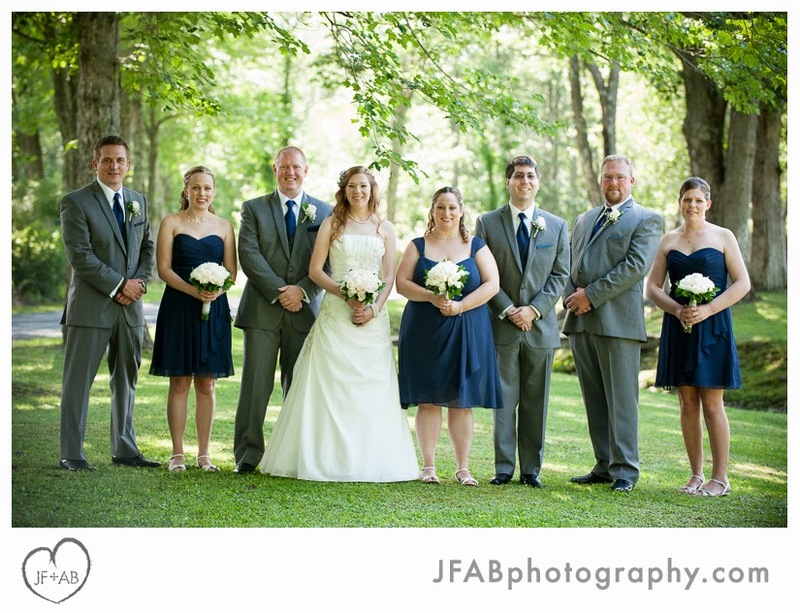 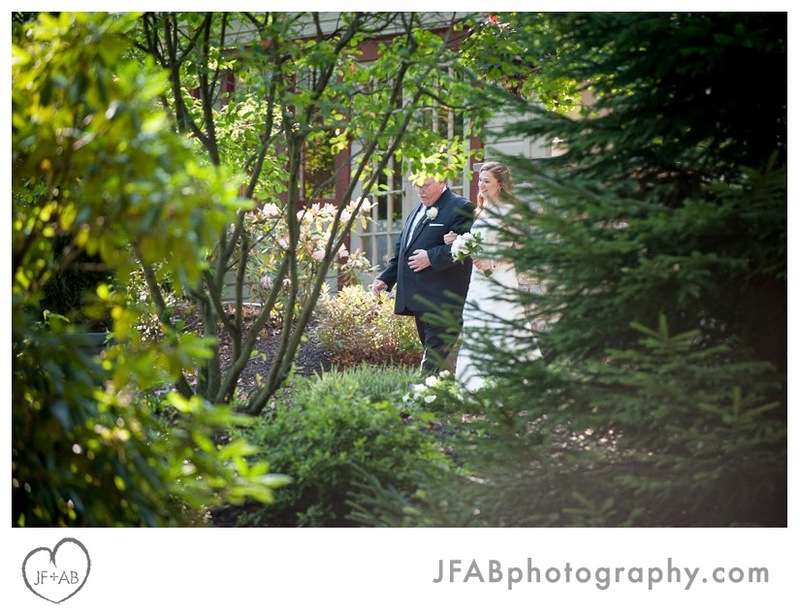 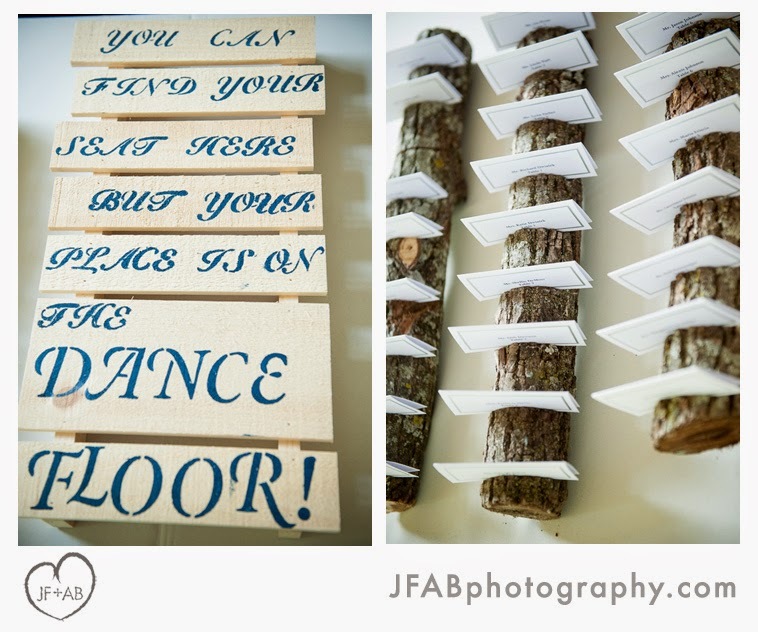 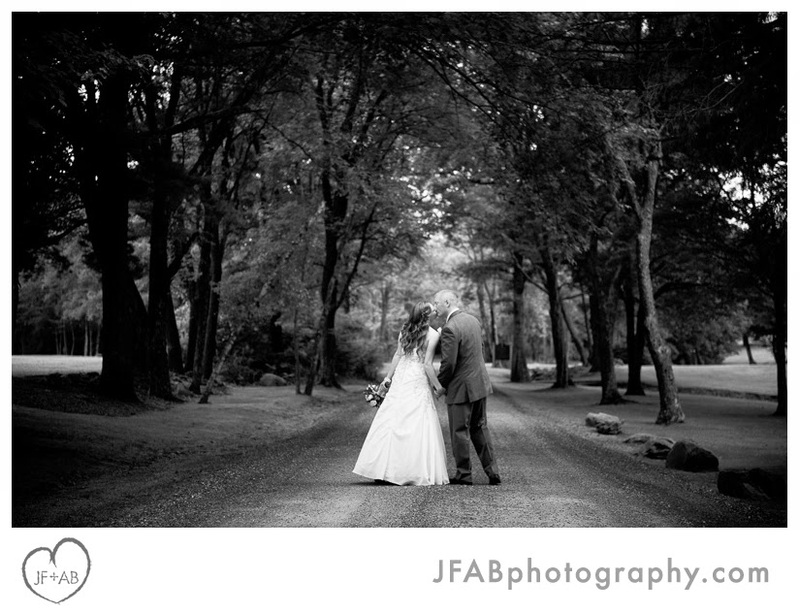 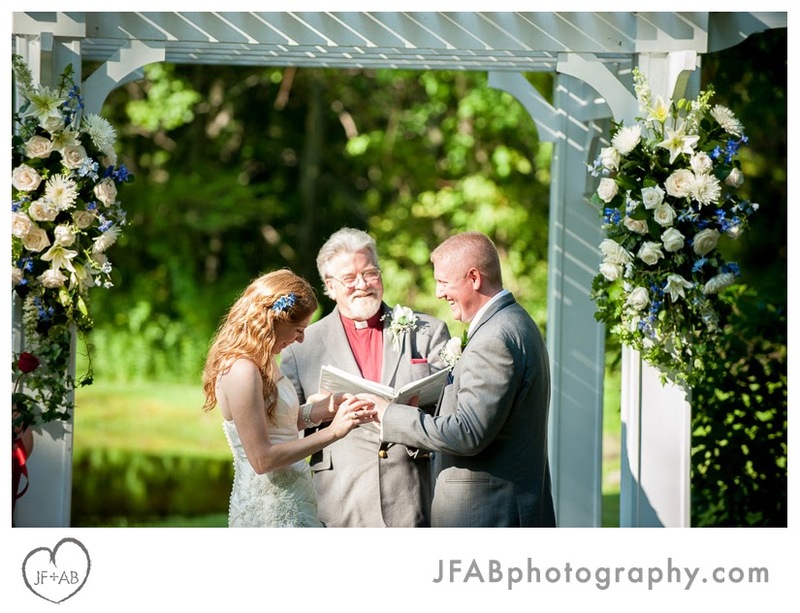 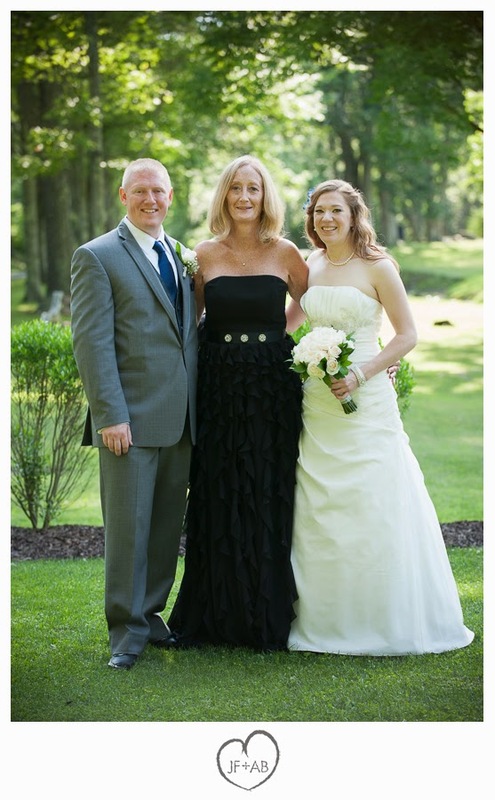 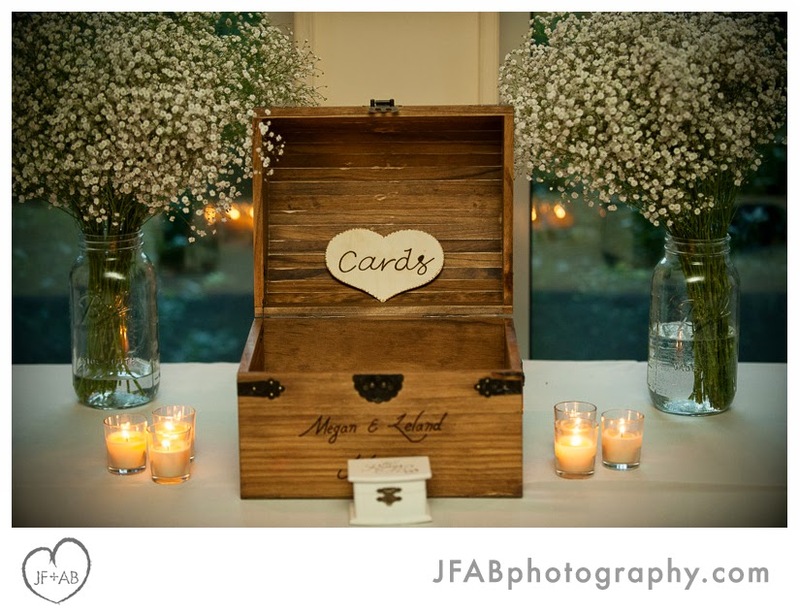 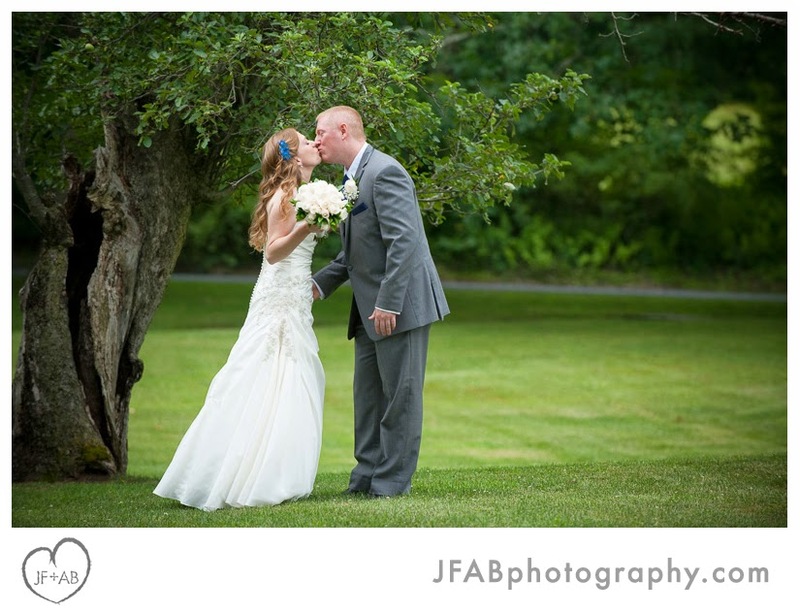 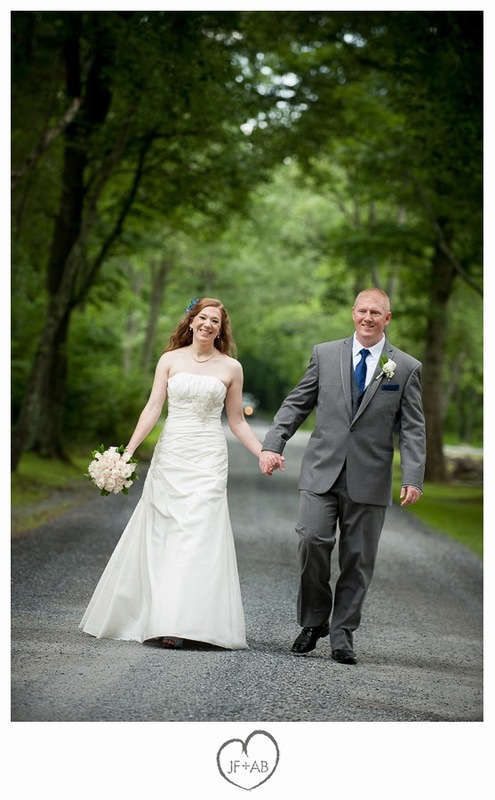 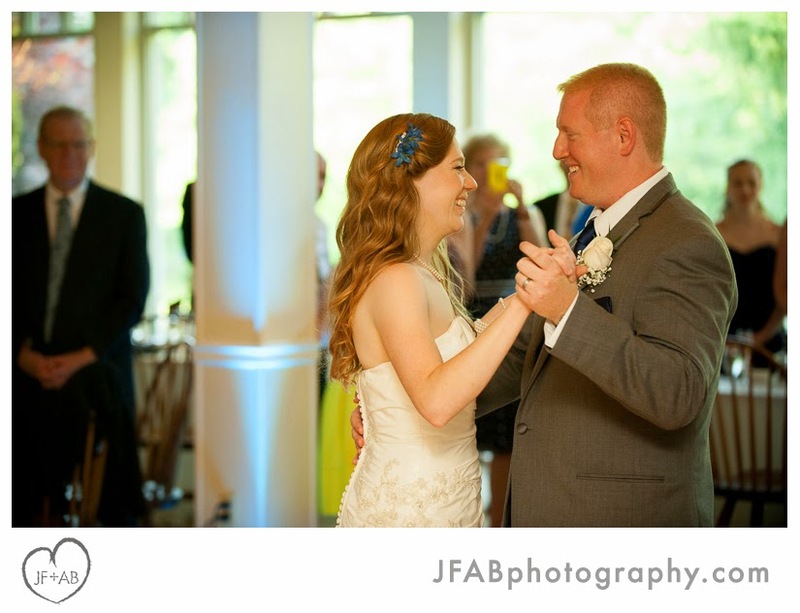 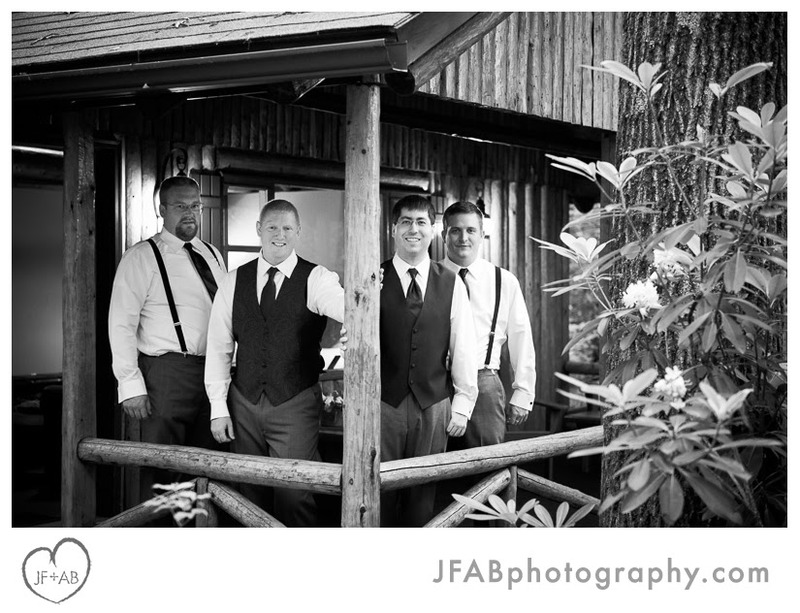 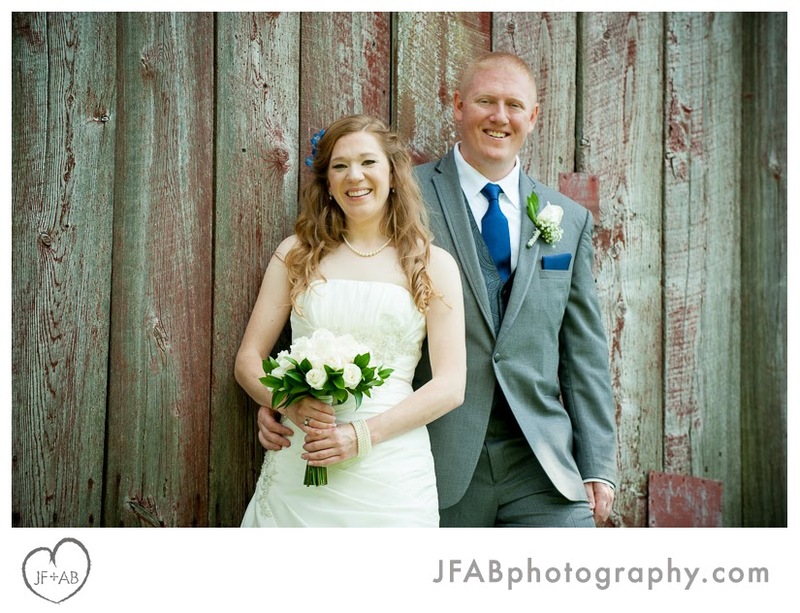 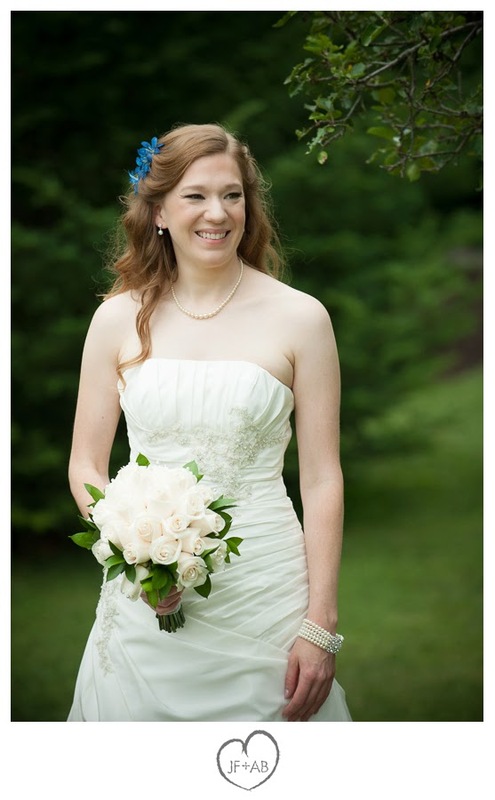 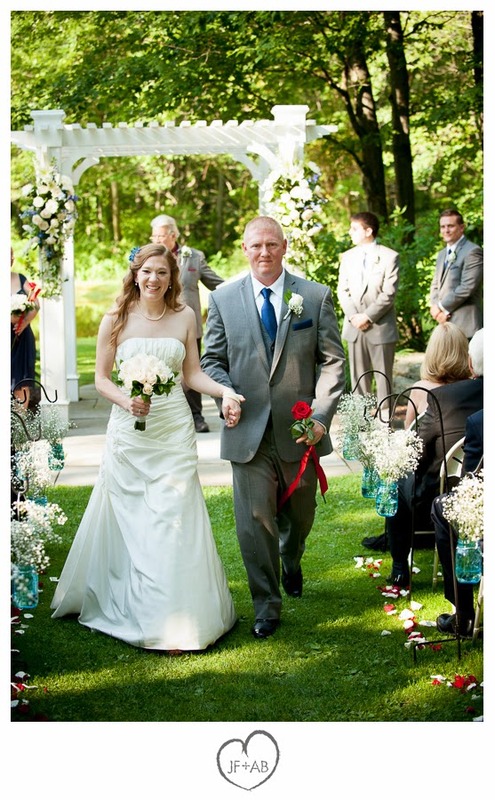 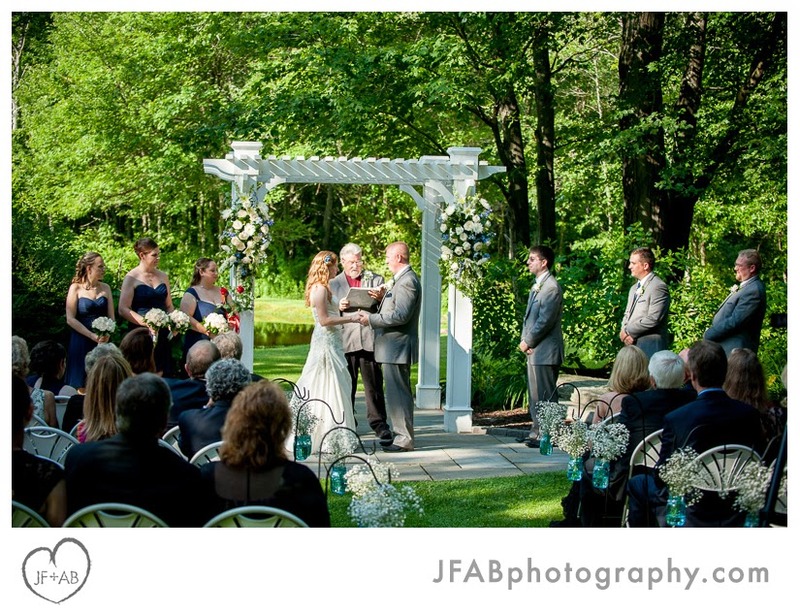 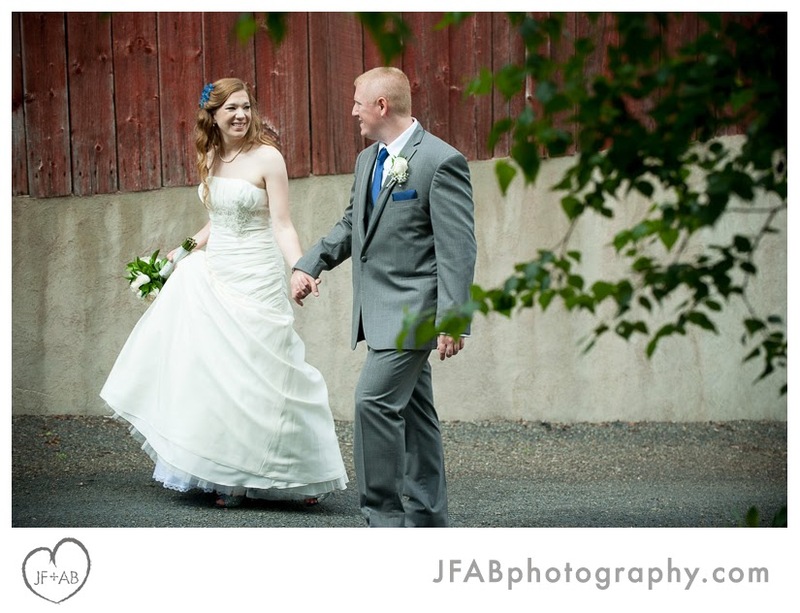 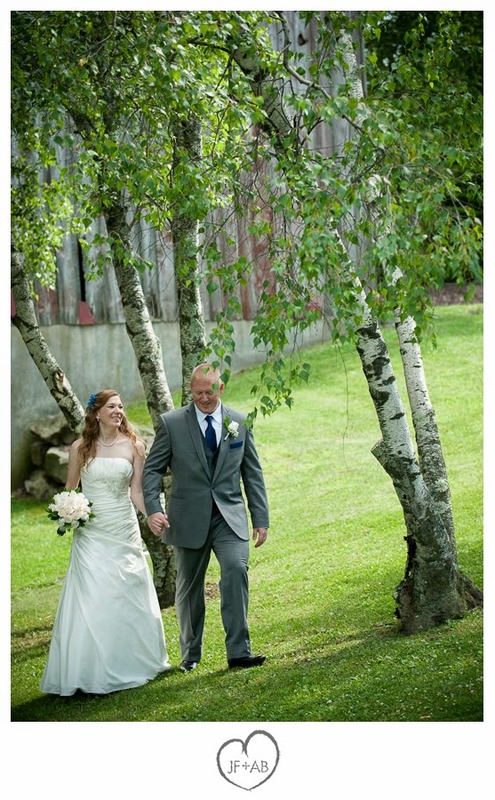 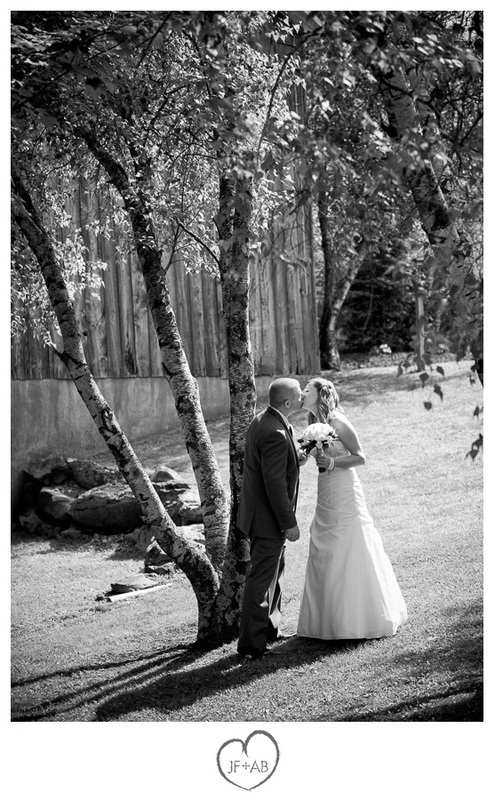 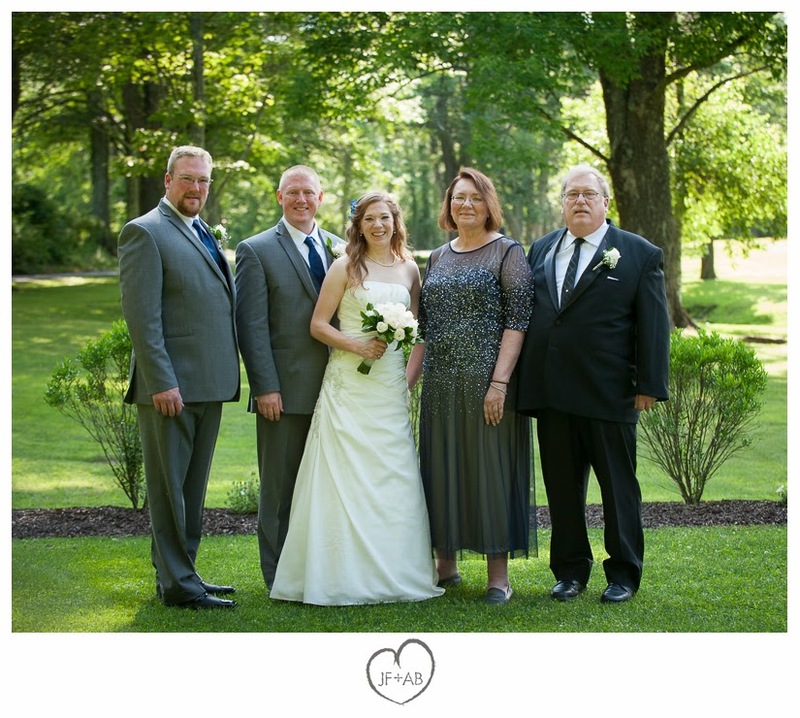 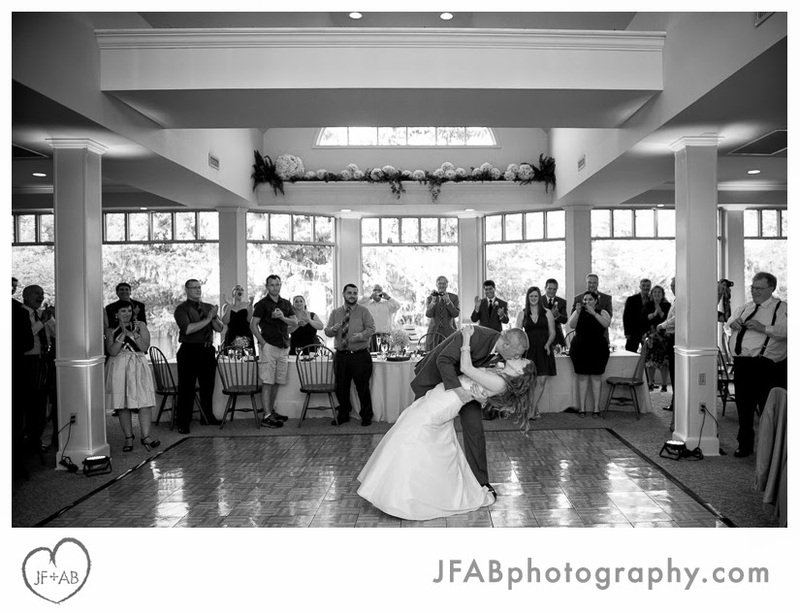 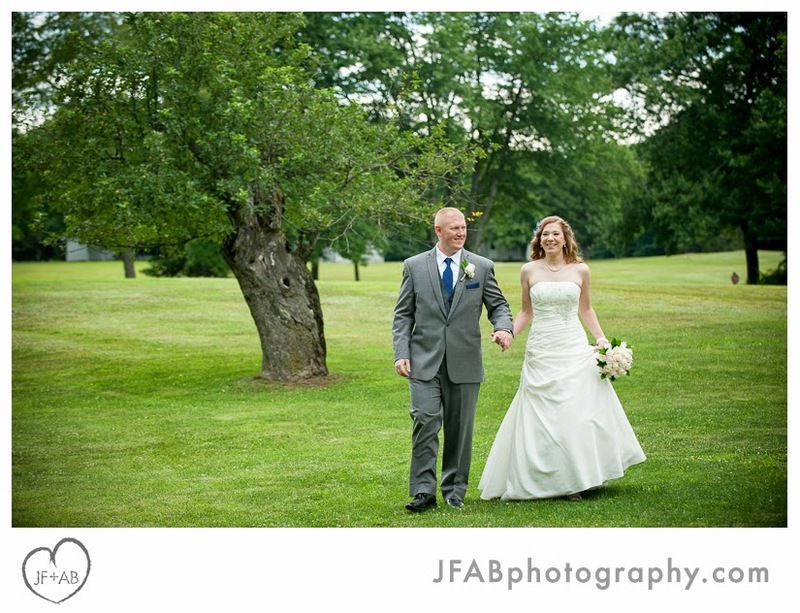 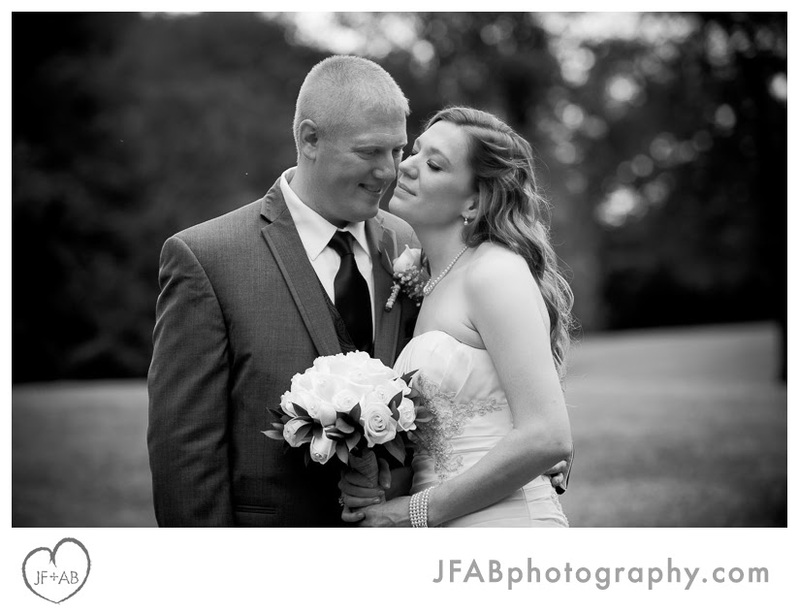 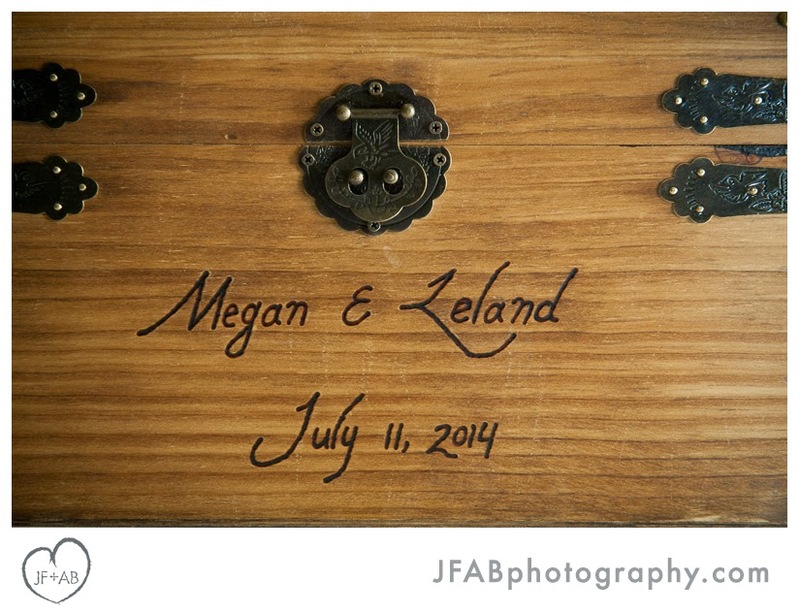 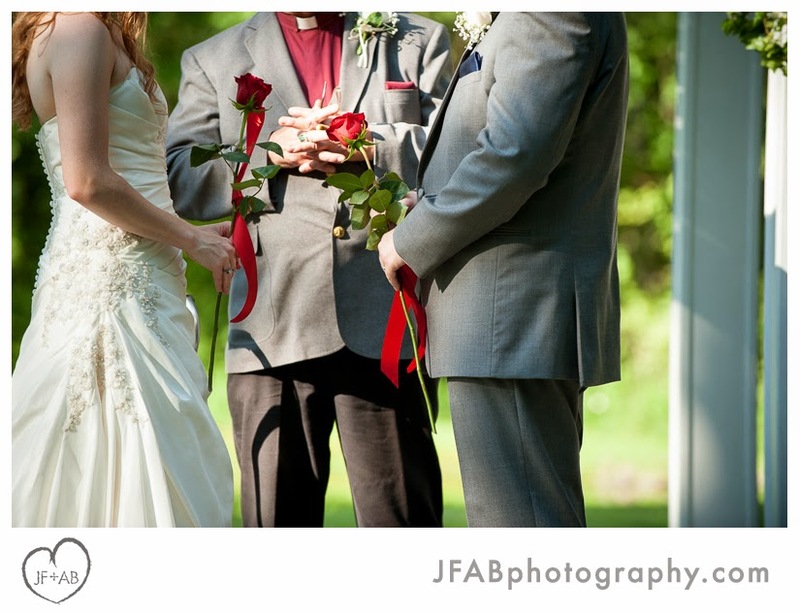 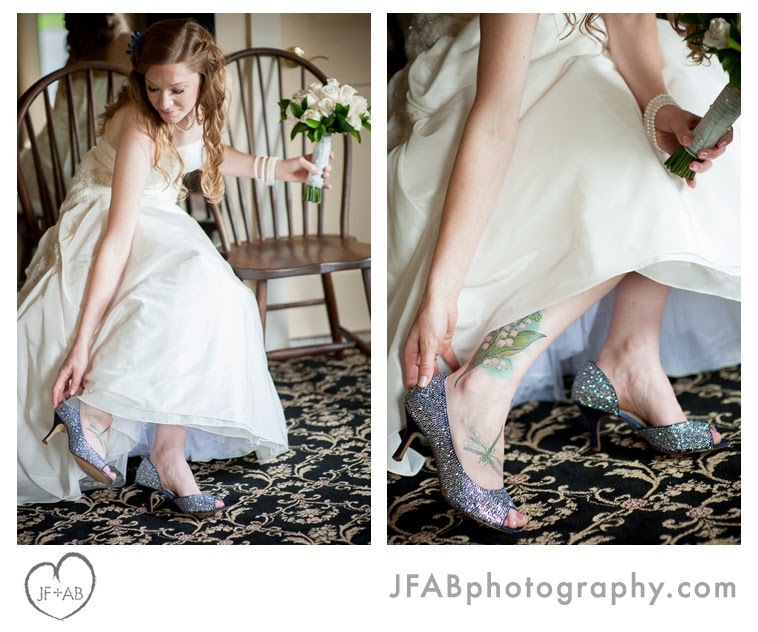 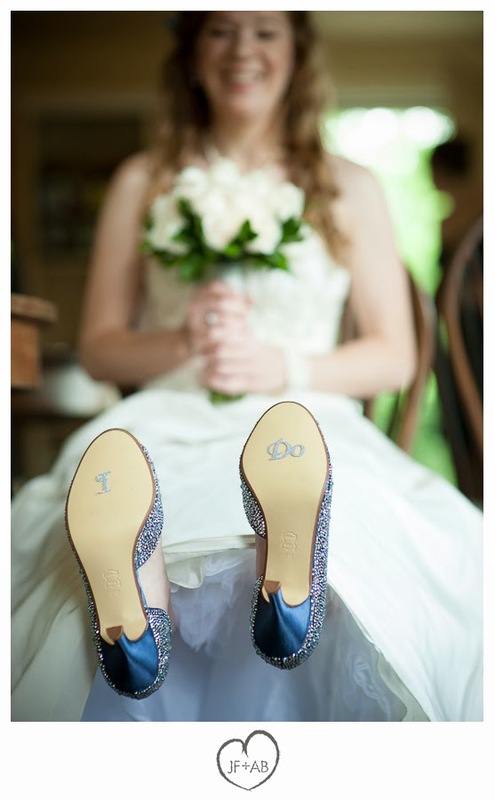 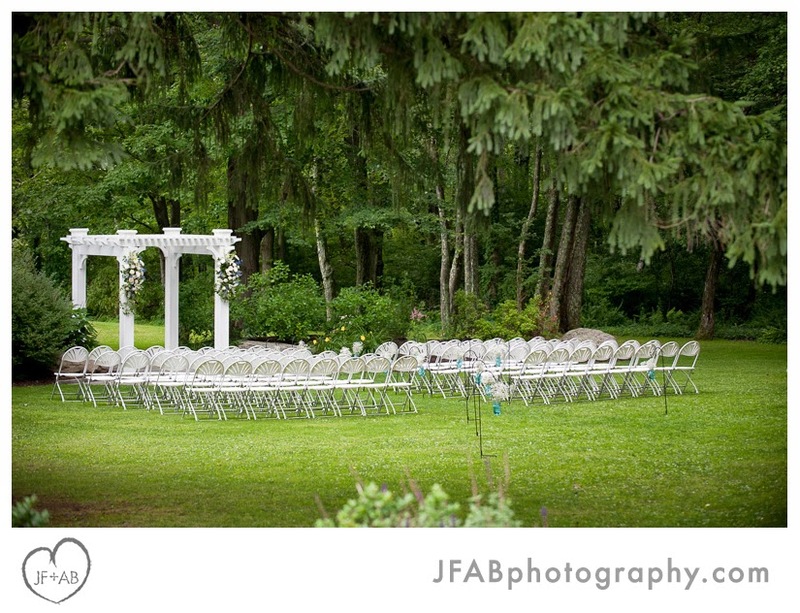 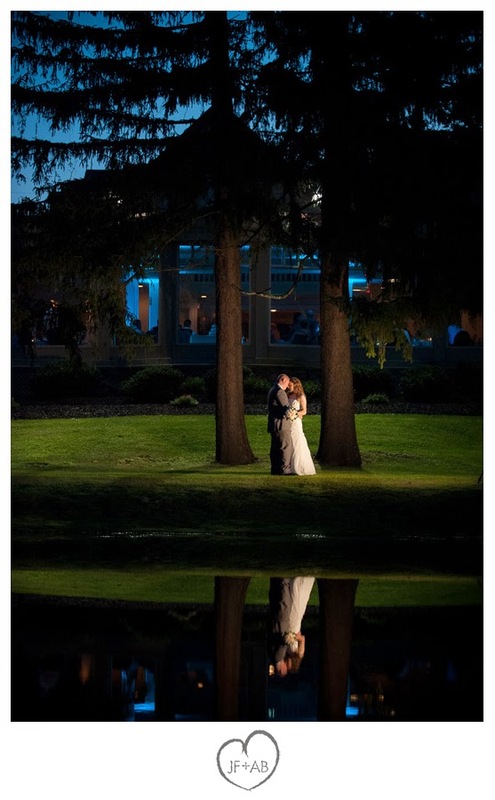 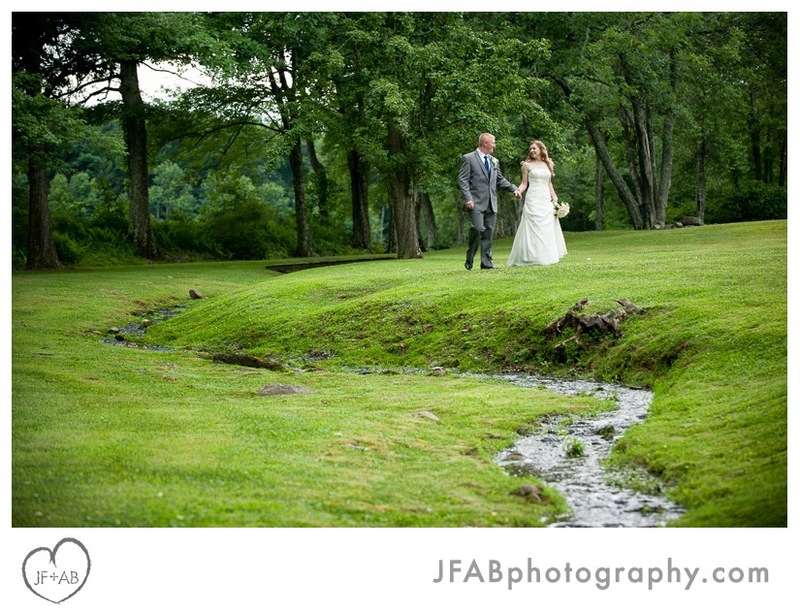 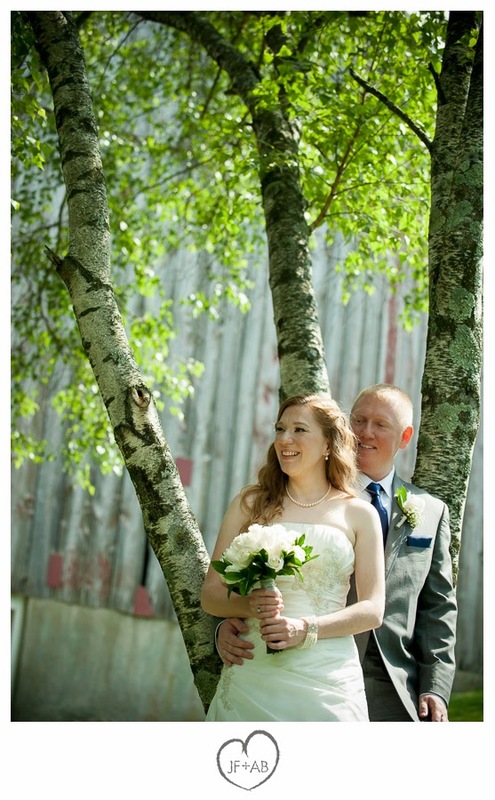 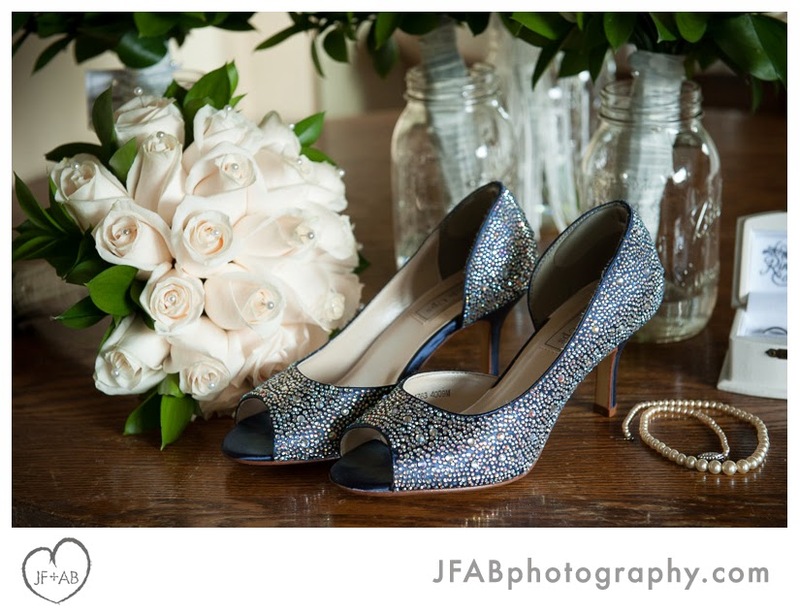 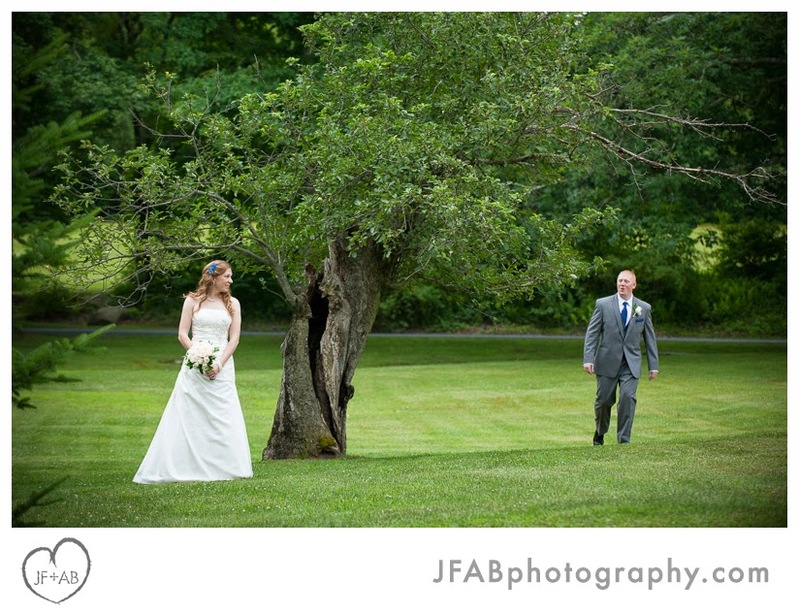 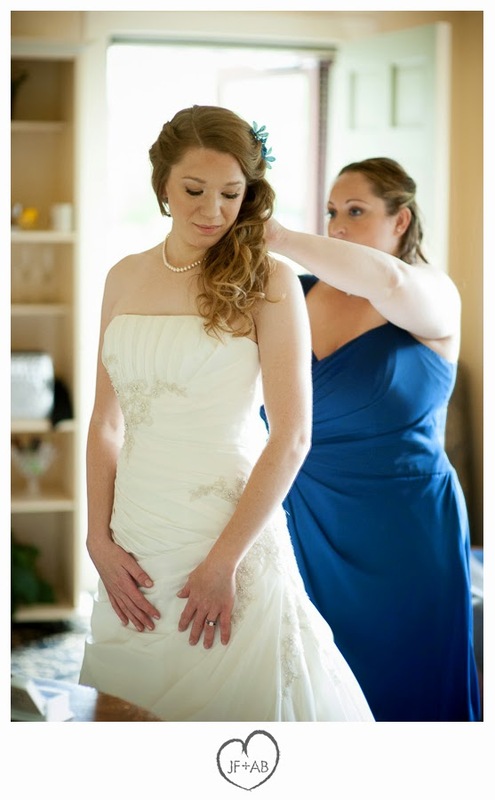 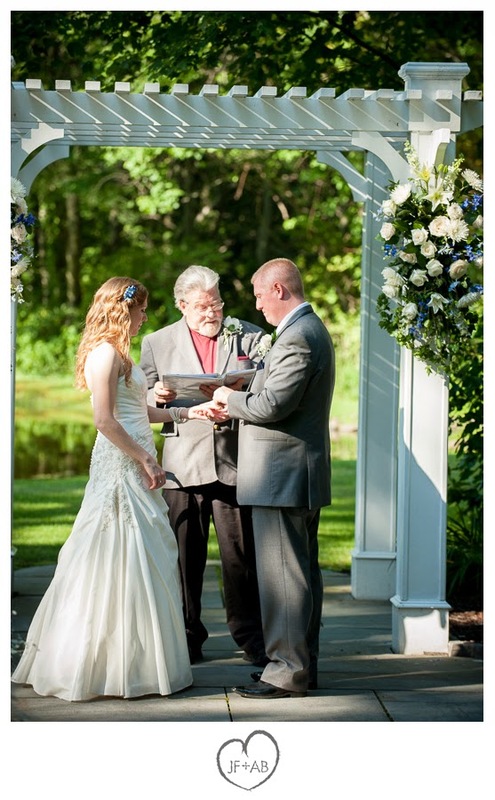 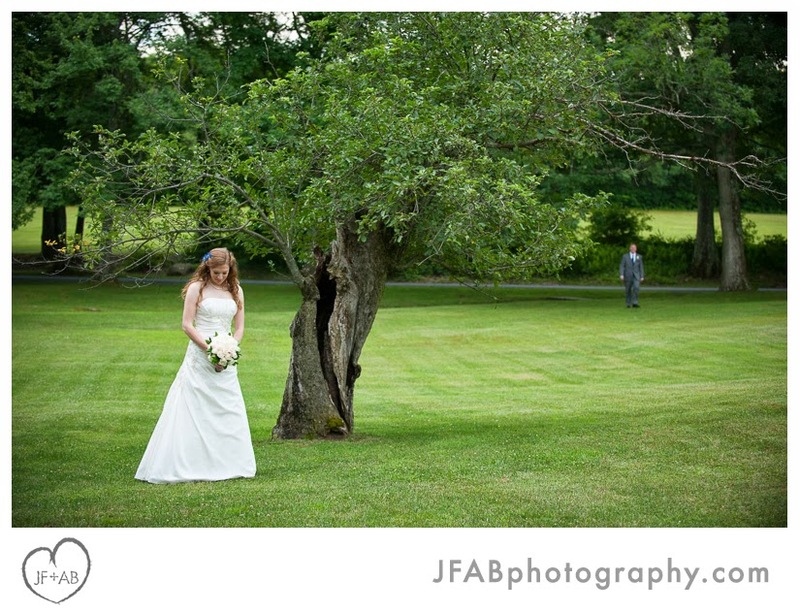 Megan and Lee had a beautiful summer wedding in the Poconos at the Lodge at Mountain Springs Lake. 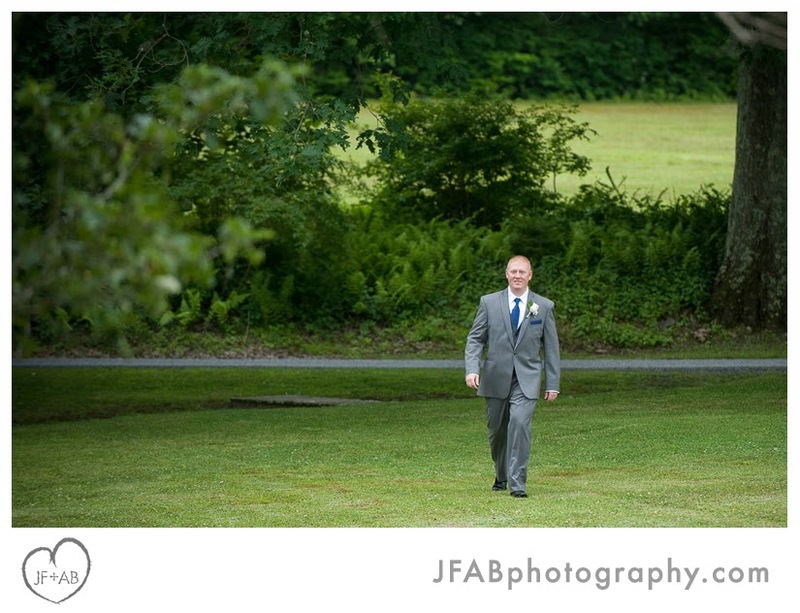 Since everything was in one location and the guest list was relatively small, I (Amber) shot this one solo and it was a real pleasure. 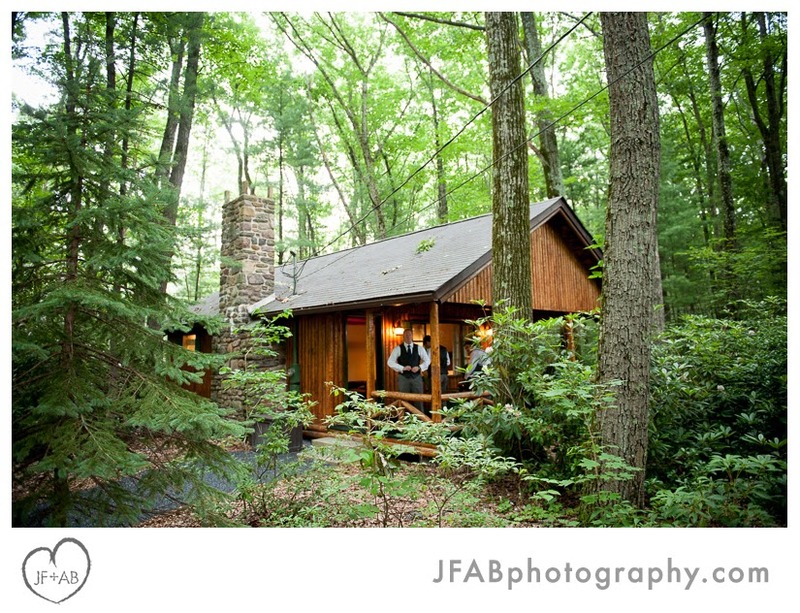 I had the chance to get to know Megan and Lee better at their engagement session in Jim Thorpe shortly before the wedding. 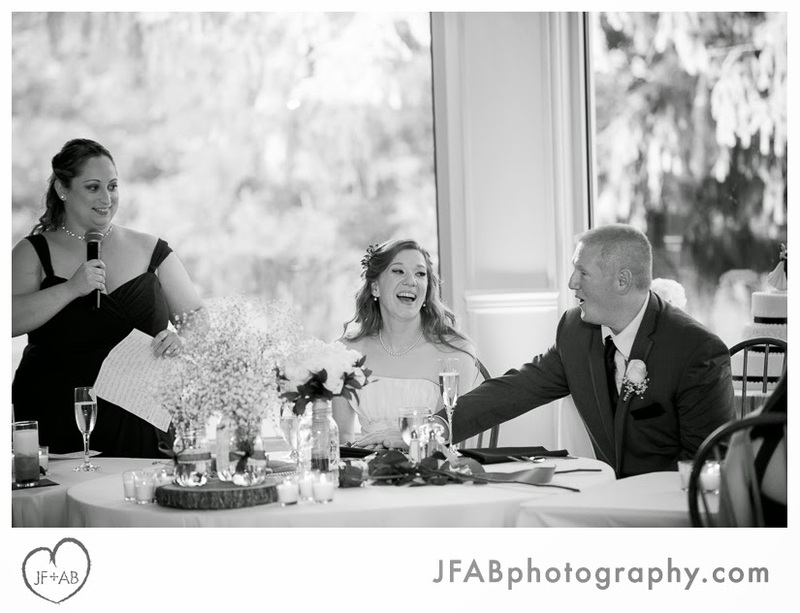 These two are very down-to-earth people who didn't want a lot of hoopla, but wanted a fun and fancy party with their nearest and dearest. 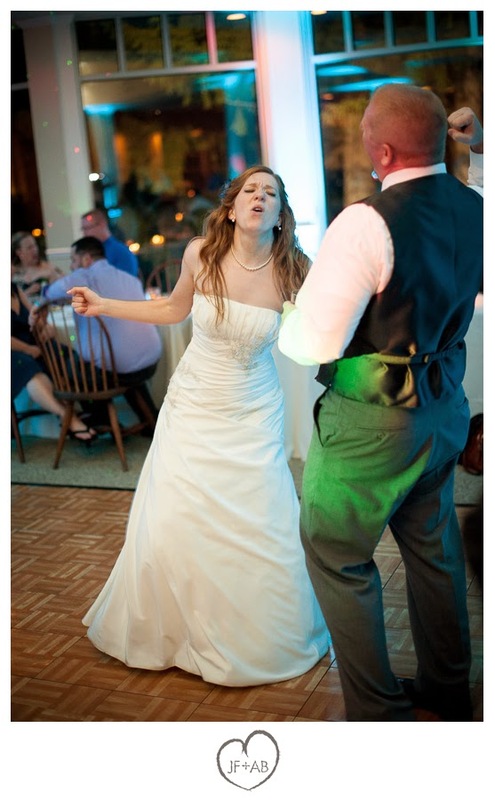 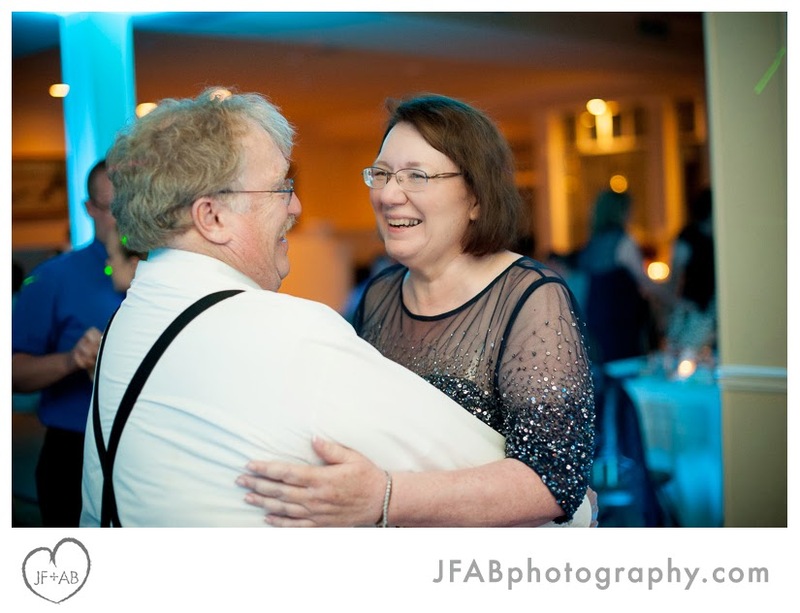 We want our wedding to be very laid back (not up tight or tense at all), while being romantic and elegant for the ceremony and the first dances and a huge blast! 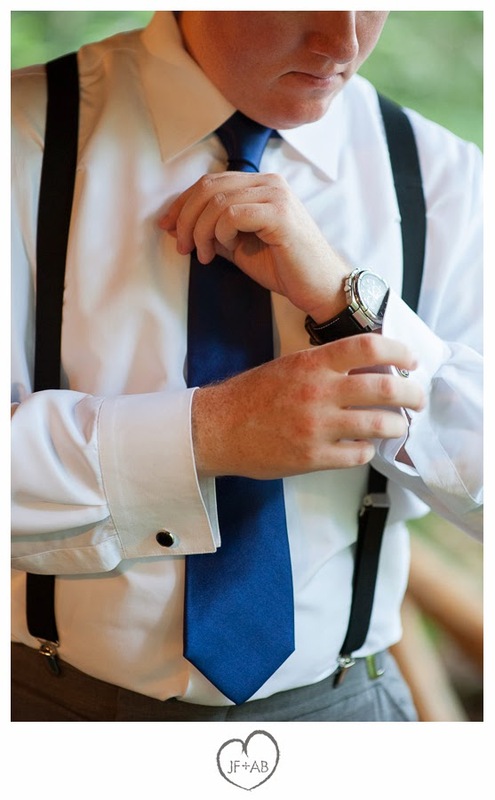 That very much reflects our style. 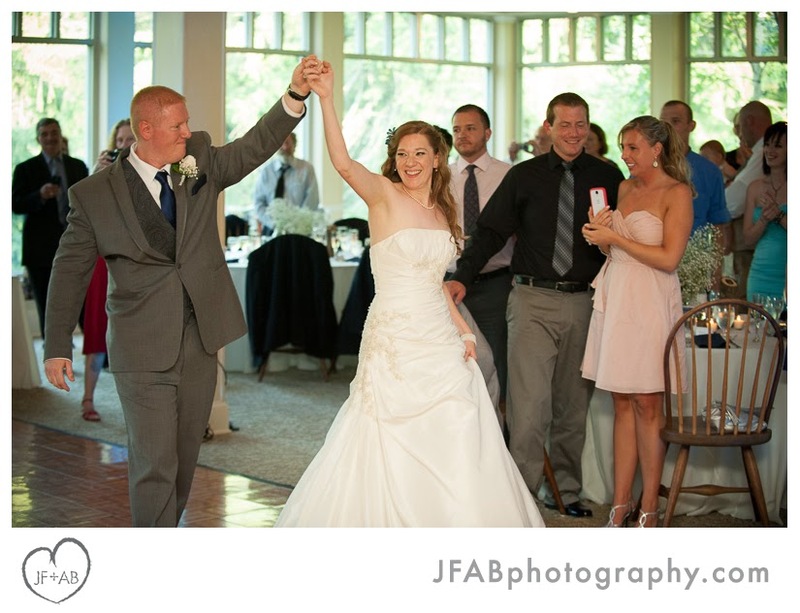 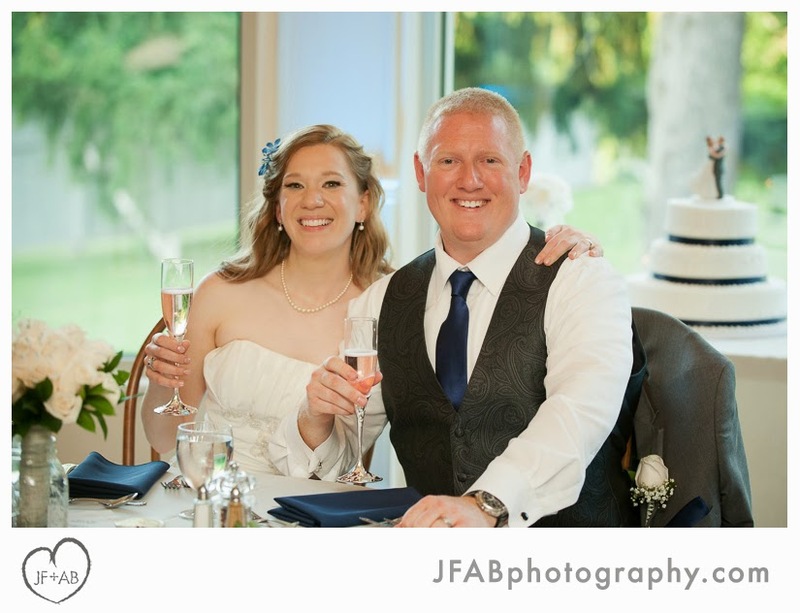 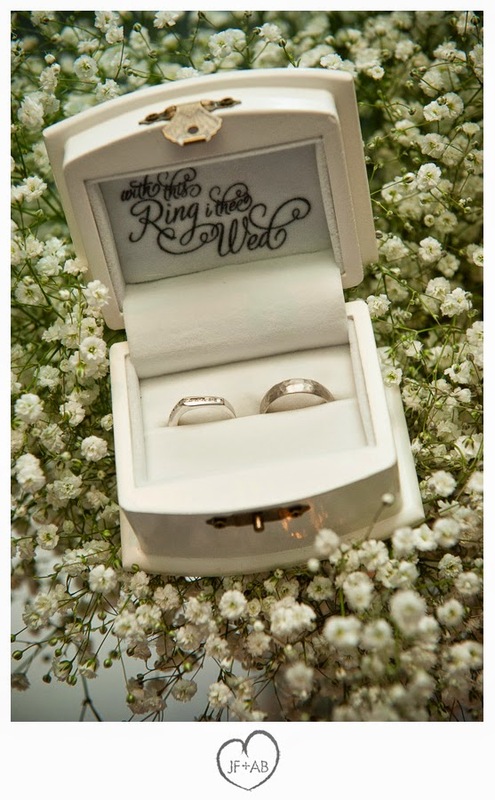 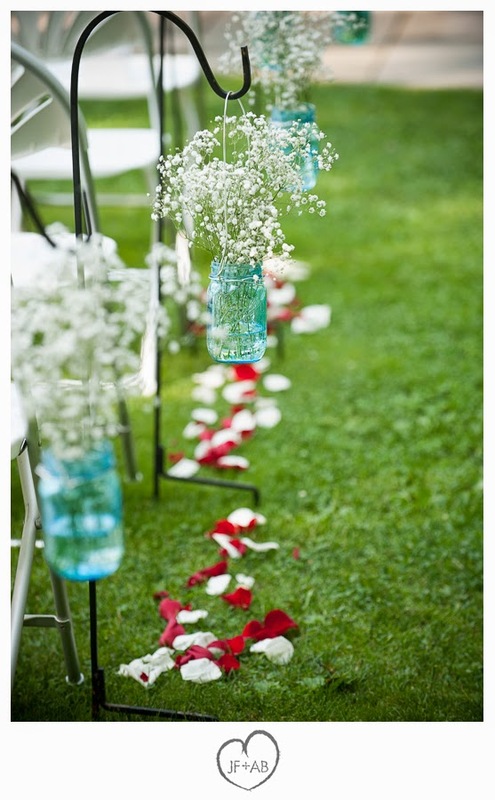 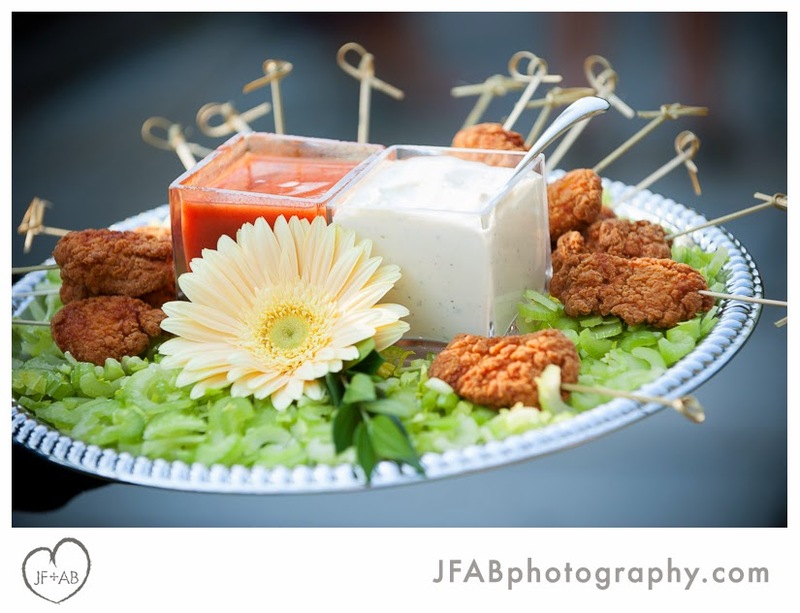 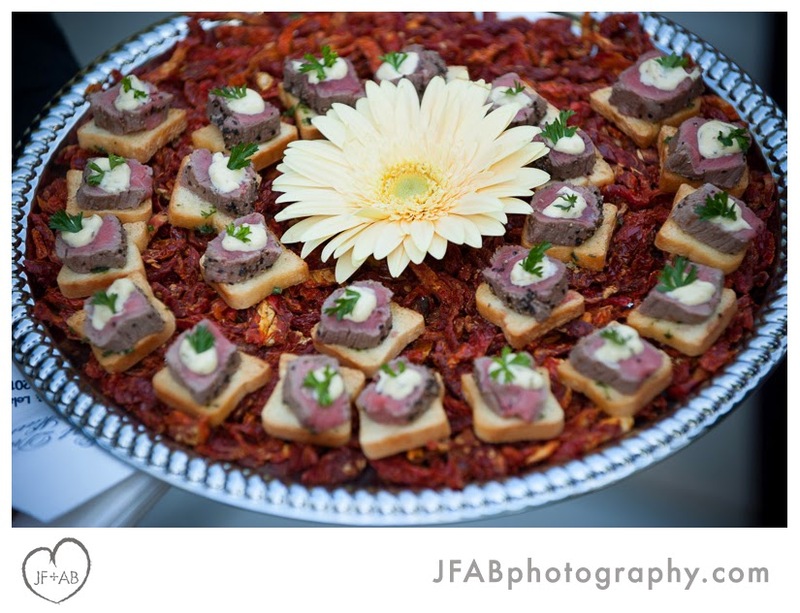 We are easy going people that want to enjoy the party but also appreciate the elegance and romance of a wedding. 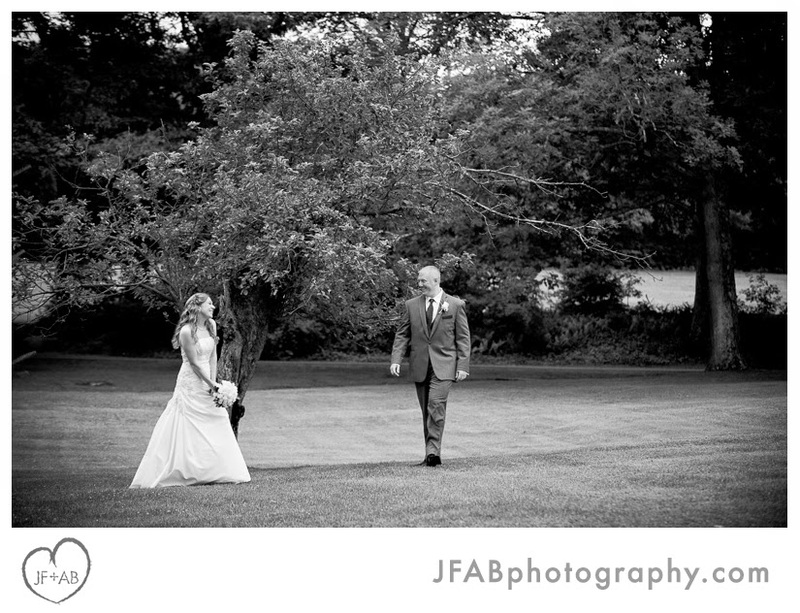 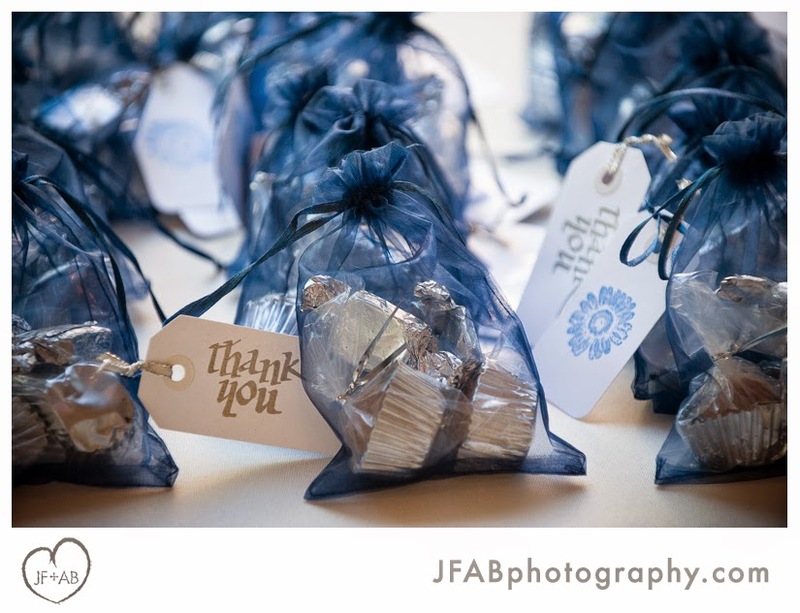 We are planning on doing a “first look” to get all of the formal photos out of the way before the ceremony. 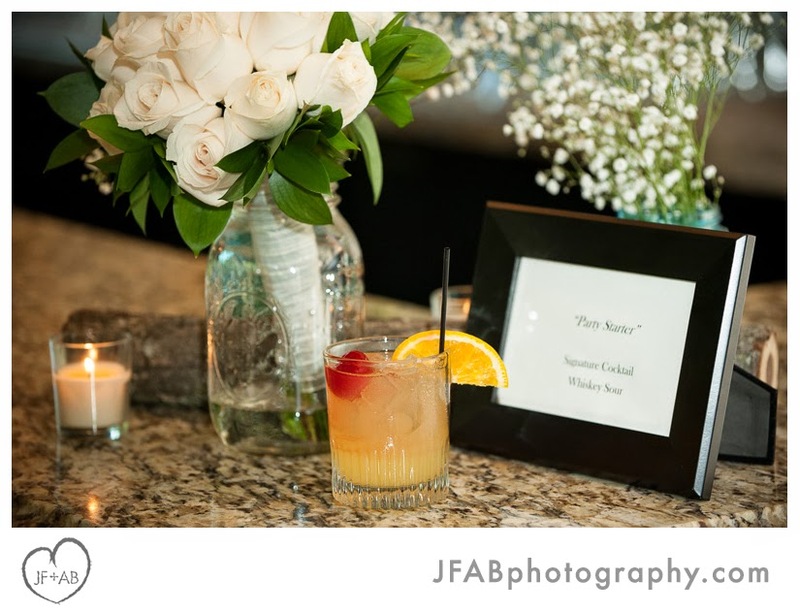 This is very important to us as we have seen too many times that the bride and groom often miss all or most of cocktail hour in order to do photos. 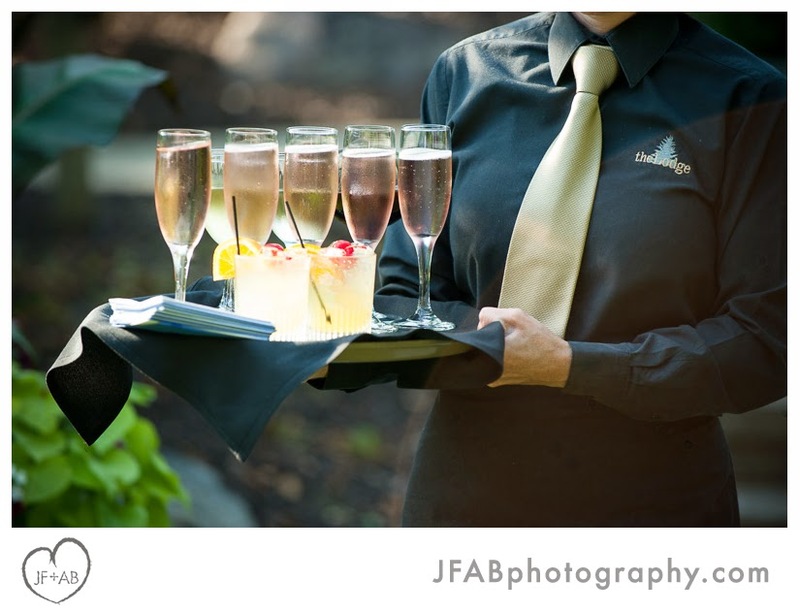 We want to be able to enjoy our cocktail hour and spend it with our guests. 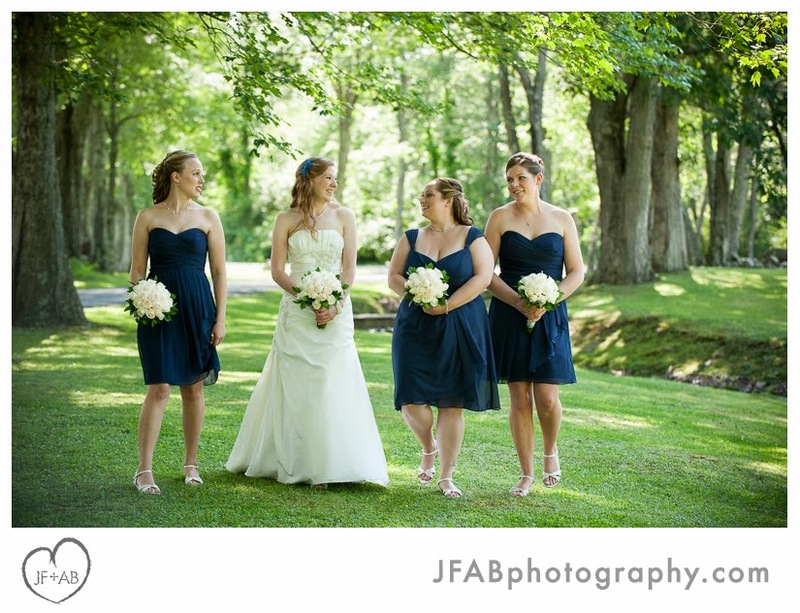 Their first look went great! 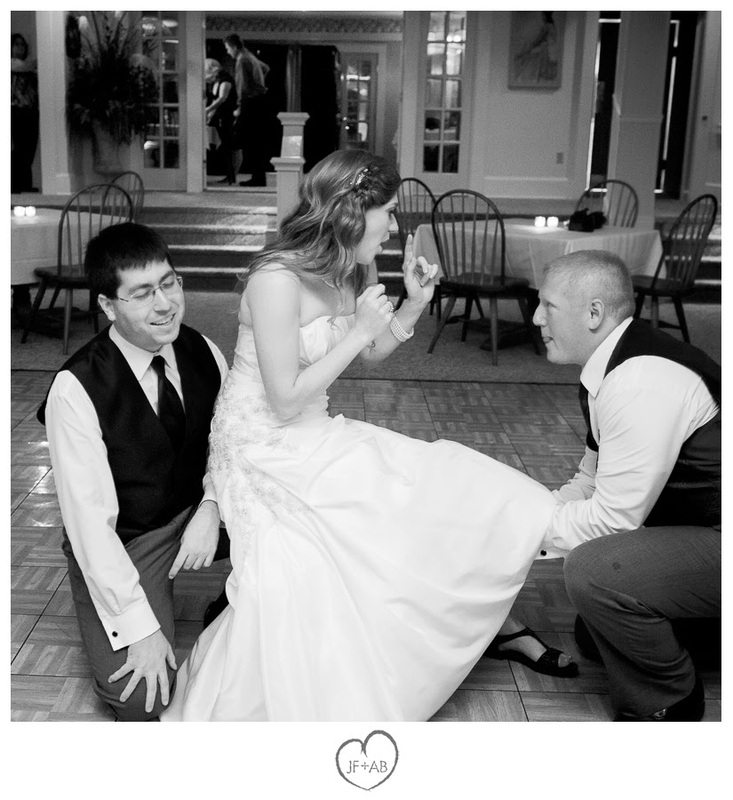 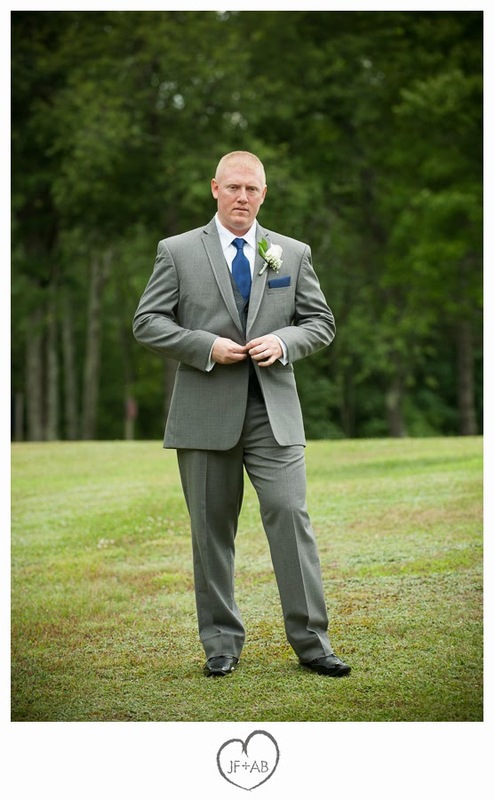 I loved the look on Lee's face when he first caught sight of his bride. 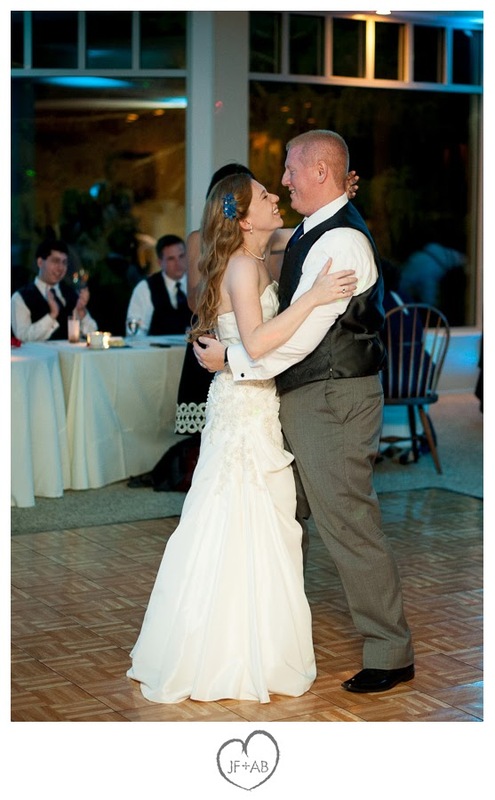 And I loved how Megan seemed to relax and light up once Lee was by her side. 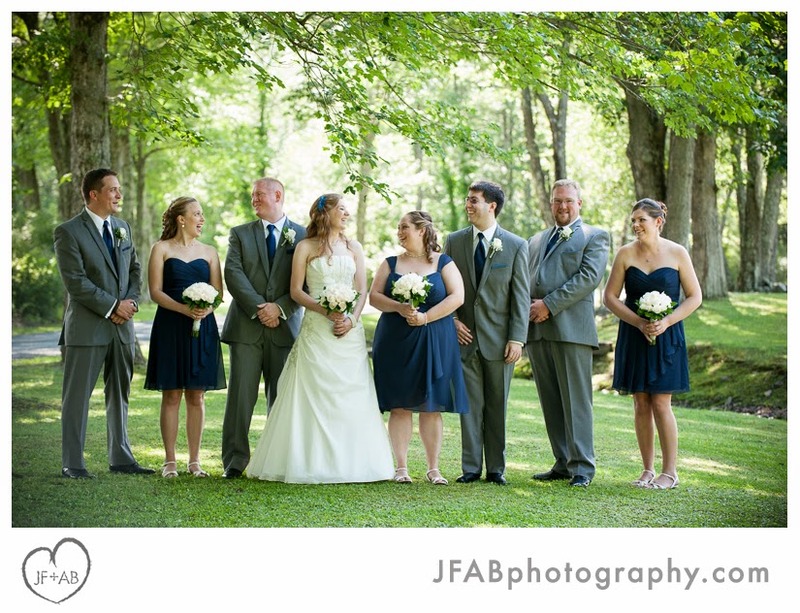 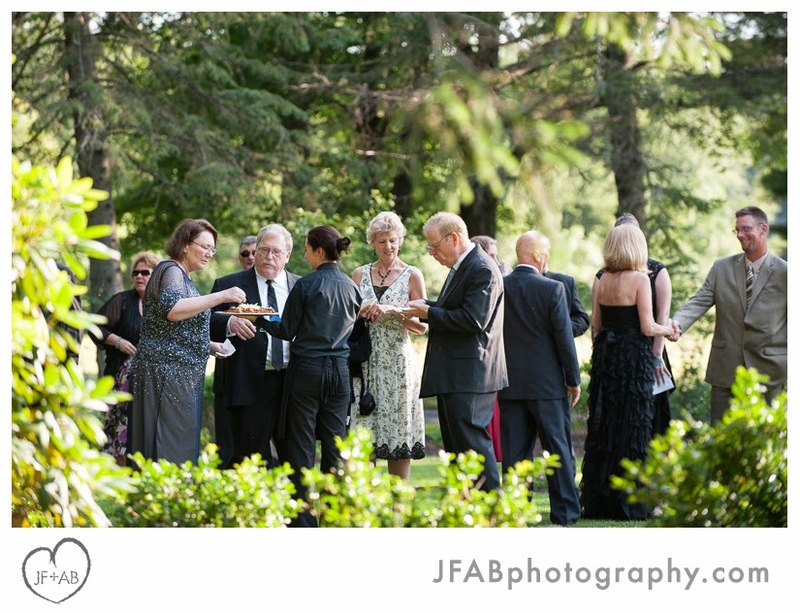 The photos that followed went smoothly and like they hoped for, they got to maximize their time mingling with guests and partying down after the ceremony. 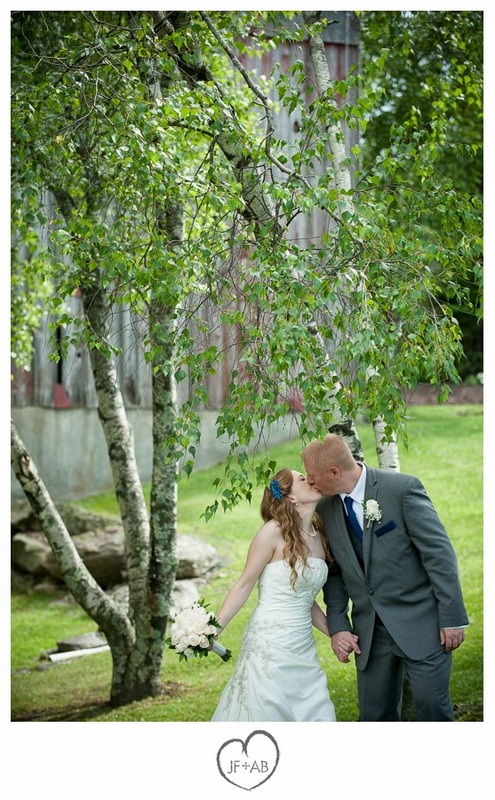 They couldn't have asked for a more perfect day. 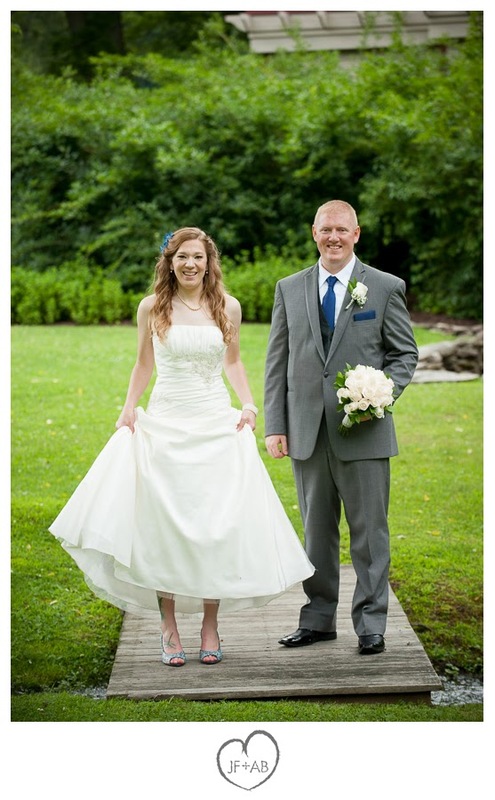 Congratulations Megan and Lee! 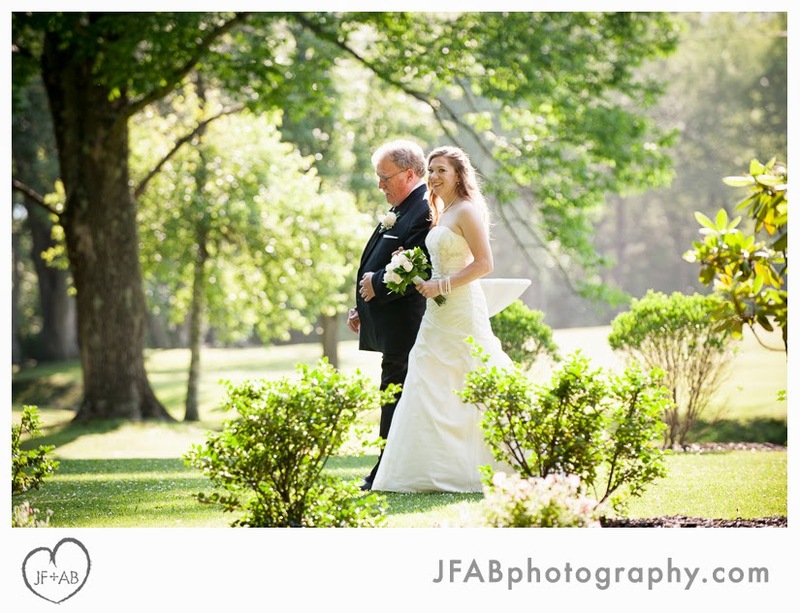 Scroll on to check out some of my favorite photos from the day. 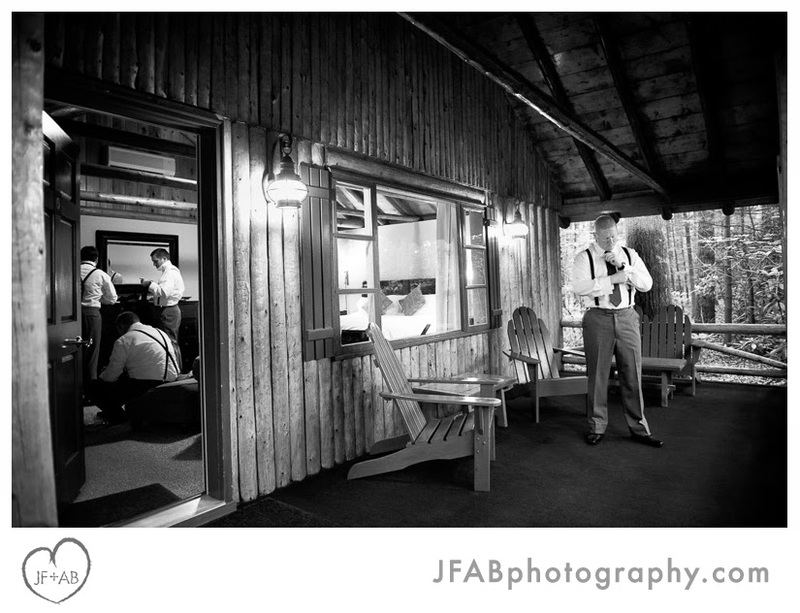 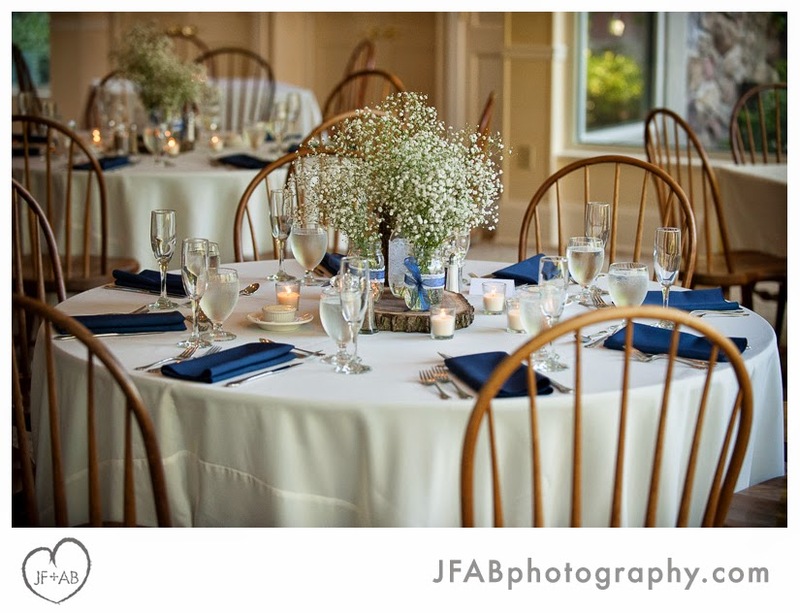 Credits: Wedding and reception at the Lodge at MSLR, Reeders, PA. 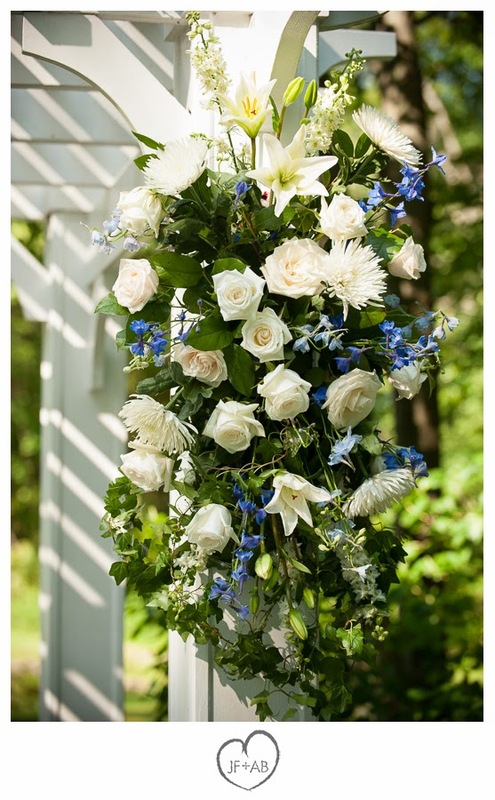 Wedding flowers by Blooms in Bedminster, NJ and Costco. 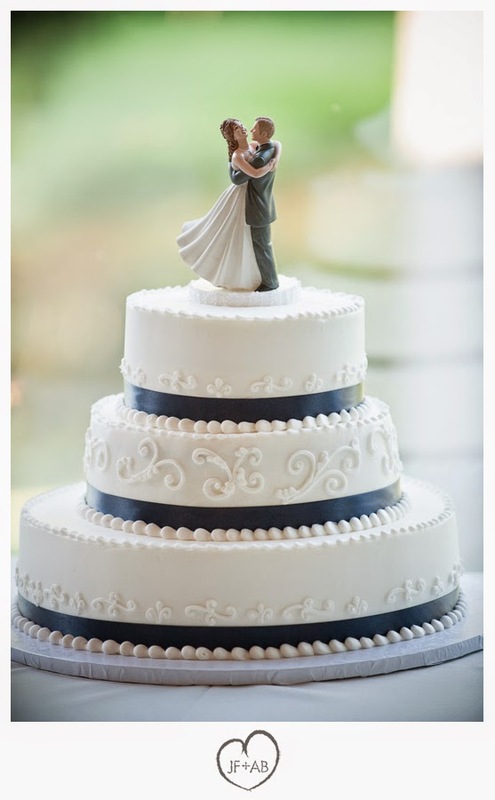 Wedding cake by DiMarco's Bakery. 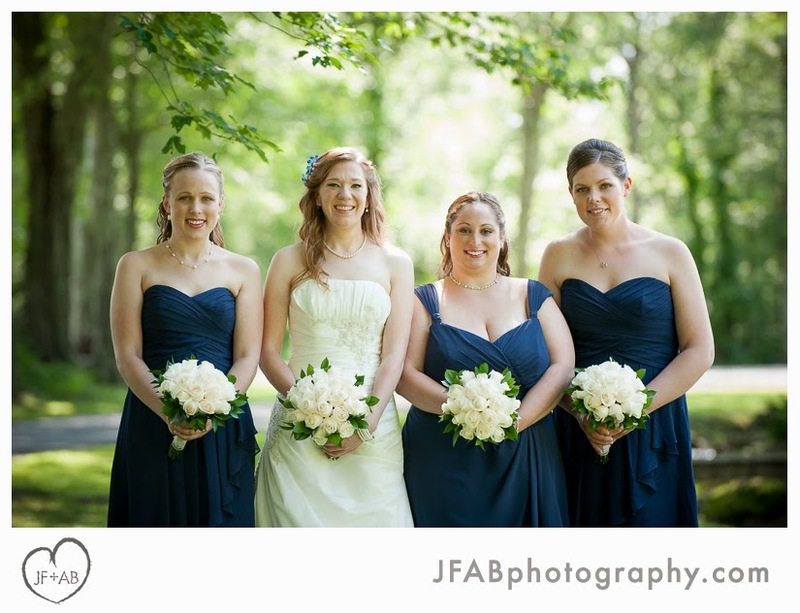 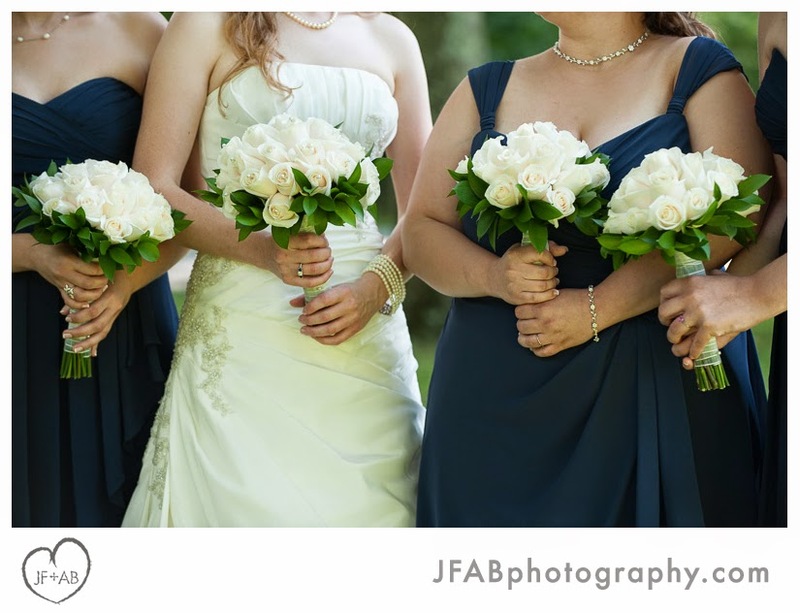 Bride and bridesmaids' gowns: David's Bridal. 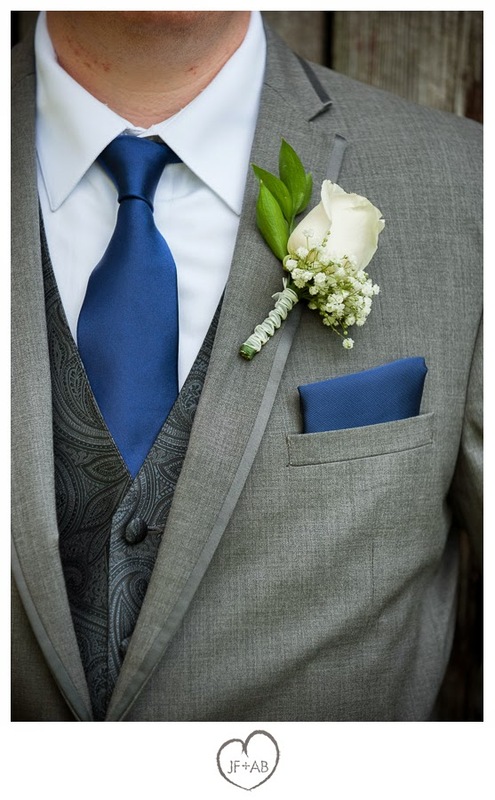 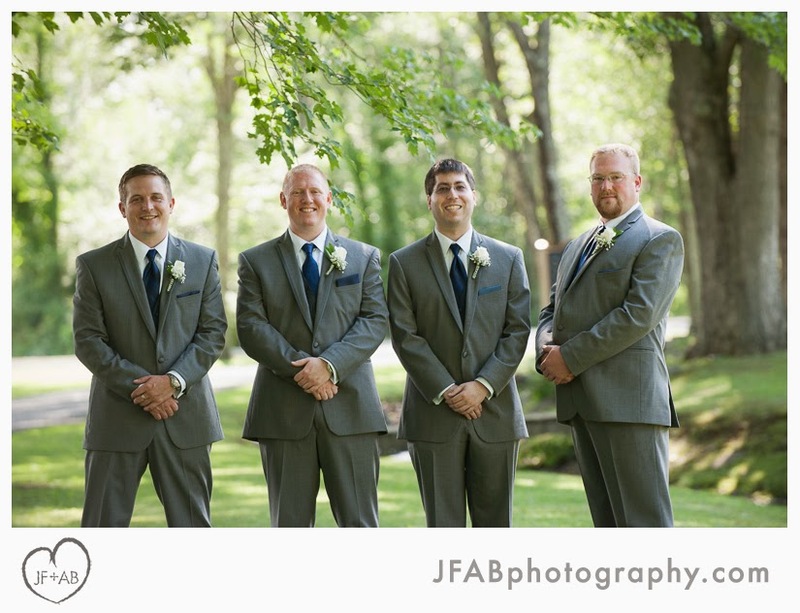 Groom and groomsmen's tuxes: Savvi by Sarno & Son. 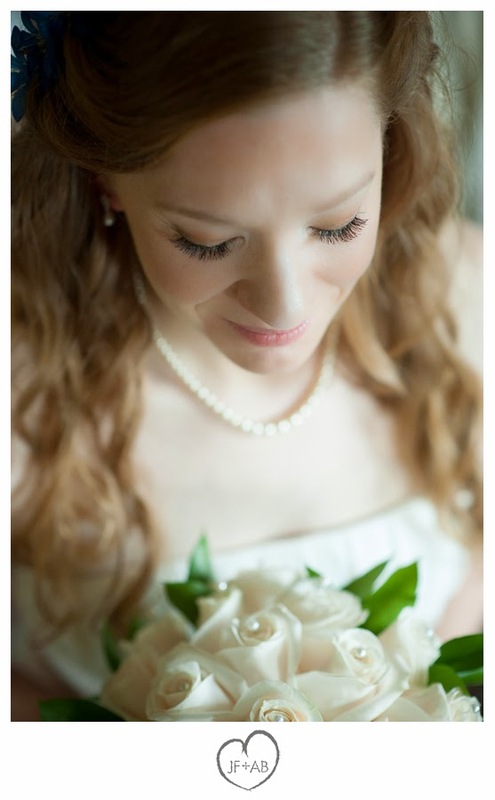 Makeup by Fawn Monique. 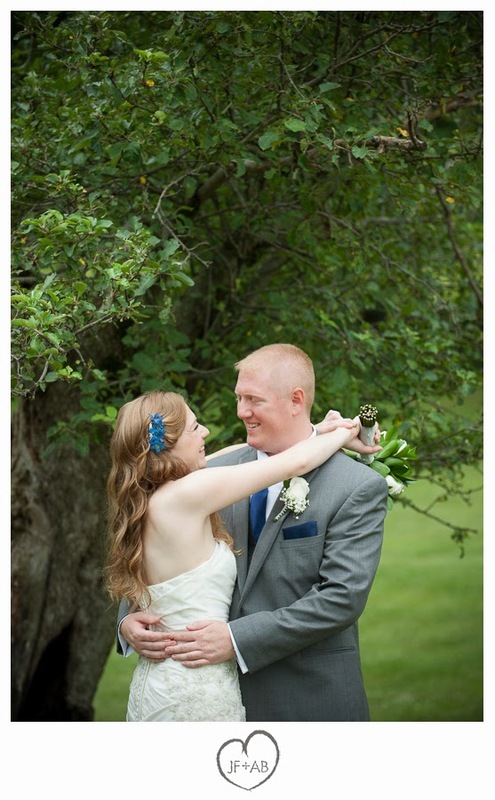 Hair by the Cutting Post. 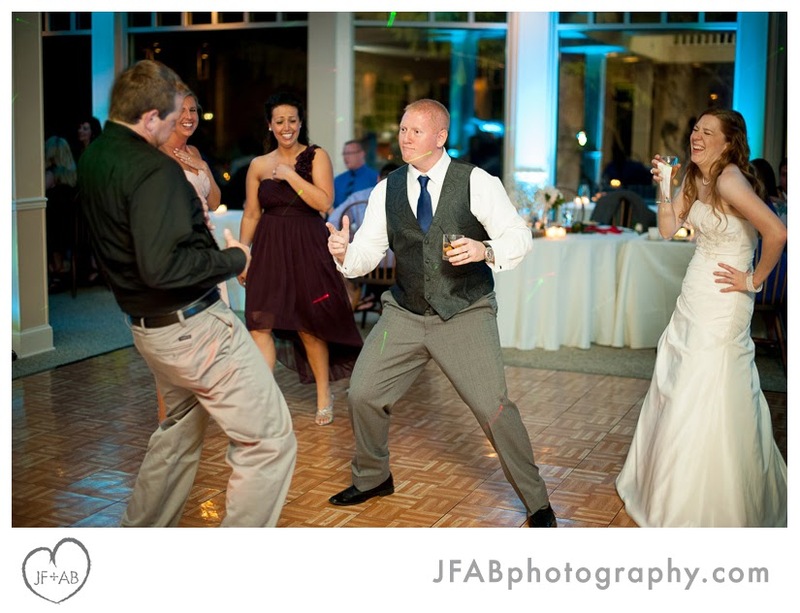 Entertainment by DJ Dave Kish.